Top Five Best Integrated Fridge Freezers For 2019 - Which? 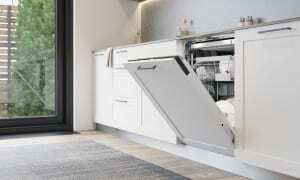 An integrated fridge freezer can keep your fitted kitchen looking flash, but will it keep your food fresh? We reveal the best and worst built-in models. Integrated fridge freezers have become much more popular in recent years, as more and more people try and keep their home appliances hidden behind fitted kitchen cabinets. But our tests reveal that good ones are still few and far between. We’ve uncovered more than 100 top fridge freezers, but fewer than one in ten of these are built-in models, so it’s essential you do your research before you buy one. If you can’t decide between a built-in and freestanding model, bear in mind that integrated fridge freezers tend to cost more than freestanding ones, and yet they almost always contain less storage space. At the time of writing in October 2018, on average, the built-in models we’ve tested cost £669 and contain 194 litres of usable space – enough for around 10 supermarket carrier bags' worth of fresh and frozen food. By comparison, the average freestanding fridge freezer costs £591 and contains 233 litres (12 carrier bags) of usable space. If you’re still set on an integrated fridge freezer, the good news is that we’ve found some great models that will maximise the lifespan of your food without driving up your energy bills or being noisy and awkward to use. We’ve rounded up five of the best below, with prices starting at less than £400. We’ve also picked out three of the worst to give you an idea of what to avoid. 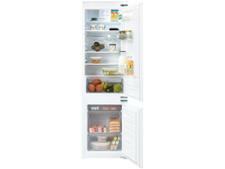 Alternatively, you can head straight to our fridge freezer reviews to see everything we’ve tested. Which? members can log in to view our recommendations below. Not a member? Join Which? and get full access to these results and all our reviews. 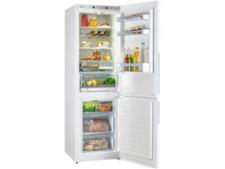 One of the most expensive integrated fridge freezers we’ve tested is also the best. 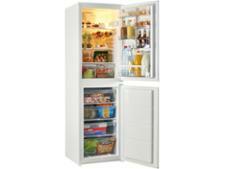 If you can get past the price, you’ll be rewarded with a fantastic fridge freezer. It did well or very well in every single one of our tough tests - which is practically unheard of - so you can rely on it to keep your food fresher for longer without driving up your energy bills or being awkward to use. The only thing to bear in mind is that the score isn’t directly comparable with other models in this list, as it was reviewed before we changed our test slightly in April 2018. Don’t be put off by the fact that this fridge freezer has been around several years. It’s still widely available, which is no surprise, as not only is it exceptional at storing your fresh and frozen food in top condition, but it’s also quiet, has an accurate thermostat and is cheaper than other Best Buys. Do bear in mind, though, that it was reviewed before we changed our test slightly in April 2018, so the results aren’t directly comparable with others in this table. This integrated fridge freezer has more storage space in the freezer compartment than any of our other built-in Best Buys, so it’s a great bet if you tend buy lots of frozen food or cook in batches and freeze the leftovers. Better yet, the freezer cools rapidly to help preserve the flavour and freshness of any food you freeze. It also maintains a steady temperature in all conditions, reducing the risk of freezer burn. 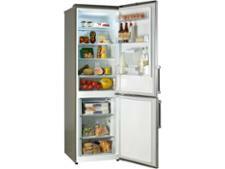 The fridge is just as impressive, making this a great all-rounder. If you’re looking for an integrated fridge freezer for an open-plan kitchen and living room, this model is a great choice. It’s one of the quietest we’ve seen, so you’ll hardly know it’s there. Better yet, both fridge and freezer are powerful enough to keep heat-loving bacteria at bay and keep your food as fresh as possible. All that power comes at the expense of energy efficiency, but it still won’t cost a fortune to run, so that shouldn’t be a dealbreaker. The average price of the integrated fridge freezers we’ve reviewed is more than £670, making this model an absolute bargain. It just misses out on our Best Buy recommendation, but it chills and freezes quickly and is easy to use and clean, so it’s well worth considering. The downsides? It’s not the most energy efficient for its size, but as it’s not the largest model, it still shouldn’t cost too much to run. The other flaw is that it’s not designed to be kept in room temperatures below 16°C, which explains why the freezer struggled to maintain a completely stable temperature when we lowered the temperature in our lab to 10°C. They may look similar, but don't assume that all integrated fridge freezers provide an equally good home for your food. Our tests have uncovered built-in models that will push up your energy bills without even cooling effectively. 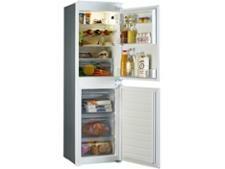 Read on for the integrated fridge freezers to avoid to make sure you don't end up with a dud product. 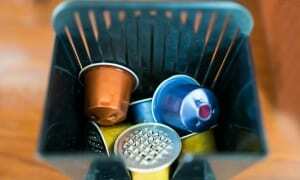 Some integrated fridge freezers have also raised concerns about safety. See more on the models we wouldn't recommend below. This isn’t a terrible fridge freezer – provided your kitchen always stays at one stable temperature throughout the year. If not, you’re going to have a problem. Whenever the temperature in your kitchen drops on a cold night, or soars during a heatwave, the temperature inside this fridge freezer will fluctuate wildly. This isn’t going to do your food any favours, to say the least. If that isn’t enough to put you off, our research has found that this model’s plastic backing is highly flammable and can exacerbate the spread of flames in the event of a fire in your home. Because of this, we cannot recommend it. The manufacturer of this appliance is in the process of upgrading it to have flame-retardant backing; our Don't Buy recommendation relates to the flammable plastic-backed version of this product. It will remain a Don't Buy until this version is no longer available to buy in shops. Read more on fridge backings below. This disastrous fridge freezer somehow manages to be inefficient for its size, despite both fridge and freezer severely lacking power. If you want to overspend on running a fridge freezer that will likely shorten the lifespan of your food, this is the model to go for. Worse still, our research has found that this model’s plastic backing is highly flammable and can exacerbate the spread of flames if there's a fire in your home. This means we can't recommend it. The manufacturer of this appliance is in the process of upgrading it to have flame-retardant backing; our Don't Buy recommendation relates to the flammable plastic-backed version of this product. It will remain a Don't Buy until this version is no longer available to buy in shops. Read more on fridge backings below. This built-in model has a terrible fridge, which is clearly a pretty major flaw for a fridge freezer. Not only is it extremely slow to cool, but the temperature inside also shoots up when the temperature in your kitchen drops. 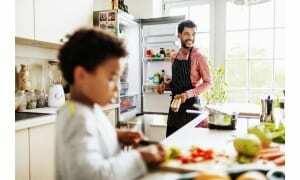 Both issues give heat-loving bacteria more time to thrive and eat into the lifespan of your food. To make matters worse, our research has found that this model’s plastic backing is highly flammable, and can exacerbate the spread of flames in the event of a fire in your home. This means we can't recommend it. The manufacturer of this appliance is in the process of upgrading it to have flame-retardant backing; our Don't Buy recommendation relates to the flammable plastic-backed version of this product. It will remain a Don't Buy until this version is no longer available to buy in shops. Read more on fridge backings below. You may well wonder how good or bad a fridge freezer can really be. They all chill and freeze your food, after all. But you’d be surprised. Every fridge freezer we review is subjected to nine weeks of intensive and independent testing, so you can have complete confidence in our recommendations. The worst models chill and freeze several times more slowly than best, giving heat-loving bacteria several extra hours to tuck into your food. As a result, food in the fridge will quickly lose its freshness, while the flavour and freshness of the food you freeze is also less likely to be preserved. Our tests also reveal that many models struggle to maintain a safe and steady temperature when the temperature in your kitchen changes. Ever woken up to half-frozen orange juice after a cold night, or found freezer burn on food that had been perfectly frozen? 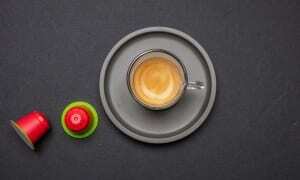 Poor temperature stability could be the reason. The temperature in the best models fluctuates by less than half a degree in cold and warm room conditions. We also perform an array of tests on the thermostat, as well as assessing how efficient, noisy and easy to use and clean each fridge freezer is. So far, we’ve tested backing samples from more than 100 different refrigeration appliances, across every refrigeration brand that we have cover. We applied an open flame to each sample, and any product that was unable to withstand the flame for 30 seconds, which would leave the flammable insulation exposed, has been deemed unsafe and made a Don’t Buy. Hundreds more products have also been made Don’t Buys because either the manufacturer confirmed, or our own research indicated, that the backing on these products was identical to a product we tested and found to be unsafe. 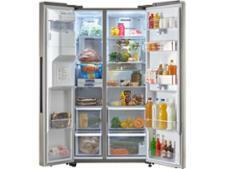 To see the all the top-scoring models, check out our full list of the best fridge freezers.